Are you looking for a local farmers market near you? 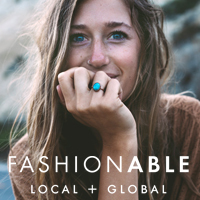 Then be sure and check out our favorite picks for finding a farmers market wherever you are. The USDA's National Farmers Market Directory lists over 8,400 operational farmers markets, a number that has more than quadrupled since 1994. This trend bodes well for local food producers, businesses, artists, artisans, communities, economies and each one of us. Attention Small Food Producers: check out what these folks are doing for hundreds of small food producers and farmers across the U.S. and could do for you too! + Our Resource Guide for Local Food Producers. Farmers markets work on so many levels to build sustainable channels in and between rural and urban communities, for and among farmers, consumers, private and public enterprises, and for the health of our bodies, environment and commerce. We need farmers markets and we need them to be a viable, vital piece of strengthening our country for years to come. The following resources can help us start, fund and promote farmers markets so not only do they exist in more and more places, but they also succeed for all involved. Understanding Farmers Markets Rules from Farmers' Legal Action Group, Inc.
Mavenjoy Extra: Keep up to date on the Farm Bill! Learn about the current status and new developments for this very important legislation and take action on the issues important to you. 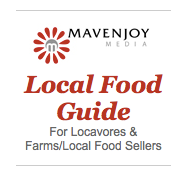 Mavenjoy Tip: Make your case by using this free tool to measure the economic impact of your farmers market in the community. Market Umbrella's public toolboxes offer a treasure trove of been-there, done-that wisdom from organizational and operational guides to market innovations like how to bring wireless EBT to your market. Mavenjoy Extra: Did you know there is financial assistance available to farmers and ranchers transitioning to organic systems and to existing organic farmers/ranchers who may want to add acreage, livestock or improve their conservation? It's called EQIP Support for Organic Growers, find out more here. See more funding opportunities for agricultural producers and other landowners from the Natural Resources Conservation Service. And be sure to check out our free Sustainable Agriculture Guide for more resources, tips and tools. Mavenjoy Tip: Make sure your senior patrons know about the Senior Farmers Market Nutrition Program by which low income seniors may qualify for coupons to use at your market. Our best picks for financing and funding your farm and other agricultural initiatives from both private and public sources. Our collection of financing sources and resources specifically for small scale farming + organic farming grants, loans and more.